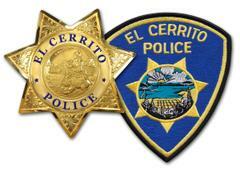 The El Cerrito Police Department would like to remind everyone to use caution whenever responding to home rental ads from Craigslist and similar websites. Rental scams can result in significant financial loss. The following is taken from the Federal Trade Commission website on such scams. Scammers know that finding the right apartment or vacation rental can be hard work, and a seemingly good deal is hard to pass up. They’ve been known to game some vacation rental websites and bulletin boards. The take-away: when you’re looking for a rental, it’s caveat renter — renter beware. Some scammers hijack a real rental or real estate listing by changing the email address or other contact information, and placing the modified ad on another site. The altered ad may even use the name of the person who posted the original ad. In other cases, scammers have hijacked the email accounts of property owners on reputable vacation rental websites. Other rip-off artists make up listings for places that aren’t for rent or don’t exist, and try to lure you in with the promise of low rent, or great amenities. Their goal is to get your money before you find out. This is the surest sign of a scam. There’s never a good reason to wire money to pay a security deposit, application fee, first month’s rent, or vacation rental fee. That’s true even if they send you a contract first. Wiring money is the same as sending cash — once you send it, you have no way to get it back. It’s never a good idea to send money to someone you’ve never met in person for an apartment you haven’t seen. If you can’t visit an apartment or house yourself, ask someone you trust to go and confirm that it’s for rent, and that it is what was advertised. In addition to setting up a meeting, do a search on the owner and listing. If you find the same ad listed under a different name, that’s a clue it may be a scam. But they have a plan to get the keys into your hands. It might involve a lawyer or an “agent” working on their behalf. Some scammers even create fake keys. Don’t send money to them overseas. If you can’t meet in person, see the apartment, or sign a lease before you pay, keep looking. What if the rental itself is overseas? Paying with a credit card or through a reputable vacation rental website with its own payment system are your safest bets. Please contact your local Police Department if you believe you have been a victim of such a scam or that there is a current advertisement that sounds like the above.